The Marching Redskins 2018 program The Journey Home was performed at OMEA competitions at Springfield (Sept. 15), Ottawa-Glandorf (Sept. 29) and doubleheader at Hilliard Darby/Dublin Jerome (Oct. 13). 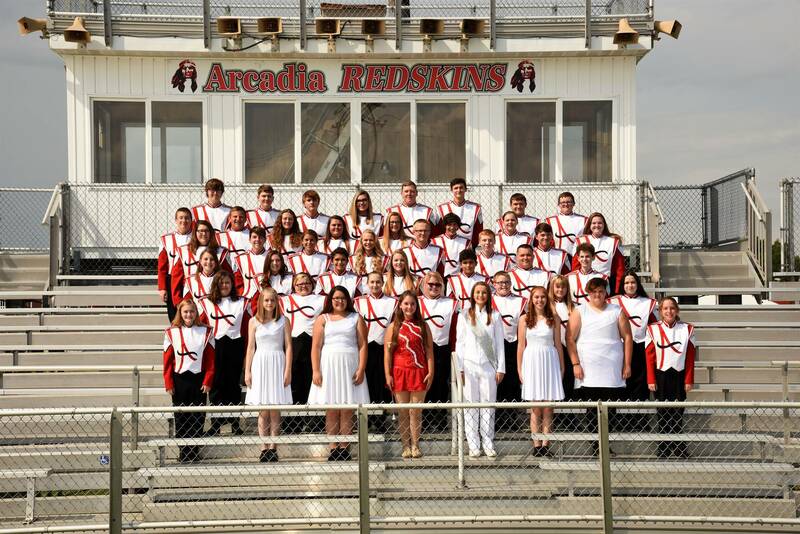 The band QUALIFIED for OMEA State Marching Band Finals again this season, which is the 10th straight year. We have been a state qualifier in marching band in 18 of the past 20 years! Our State Marching Band Finals will be held Sunday, November 4th at Dayton Welcome Stadium....performing at 4:45pm! Our post season banquet is Friday, November 2 at 7PM at the Arcadia Community Center! Click below for ITINERARY and ORDER FORM for State Shirts.